A couple of the greatest pleasures from blogging are the wonderful folks you meet and the experiences you may not have considered if the blogosphere hadn’t introduced them to you. Both coincided a couple of weeks ago when Emma invited me to join her along with Angie and Jen for lunch at Aqua Kyoto. 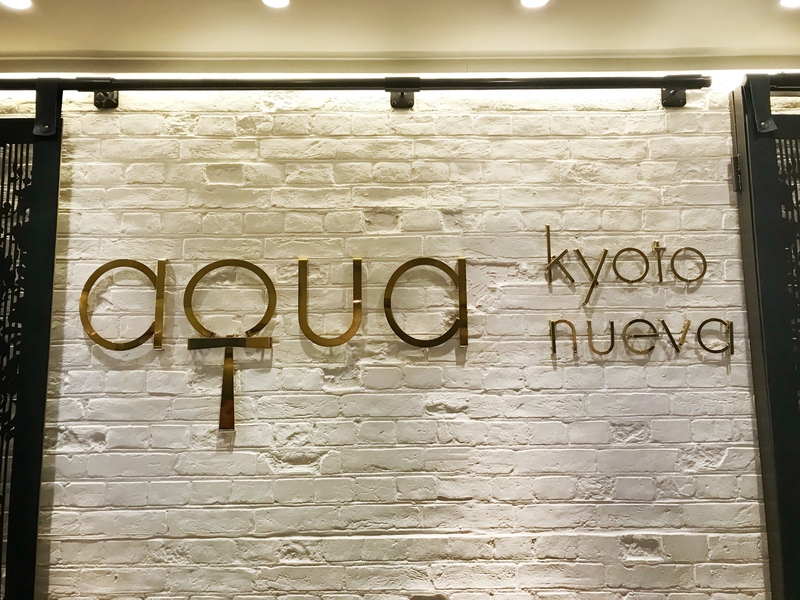 Located on the fifth floor of a building on Regent Street (its entrance is on Argyll Street) I would never have happened upon Aqua Kyoto by accident. Its beautiful interior immediately made me feel I’d happened upon a hidden gem in the West End; this definitely isn’t a place you stumble across by accident. And meeting up with three fabulous bloggers isn’t something I get to do every day, so this lunchtime felt like an absolute treat. 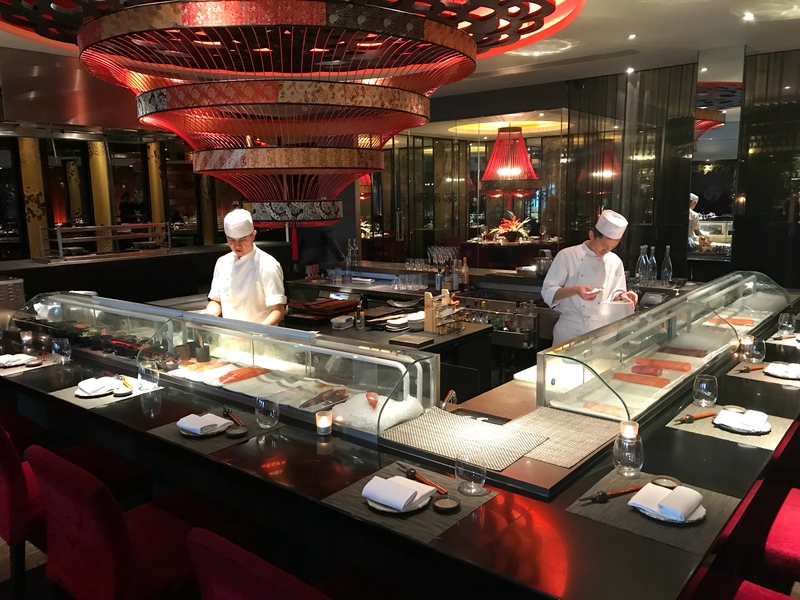 We were there to try Aqua Kyoto’s Go Zen lunch menu which won me over instantly. 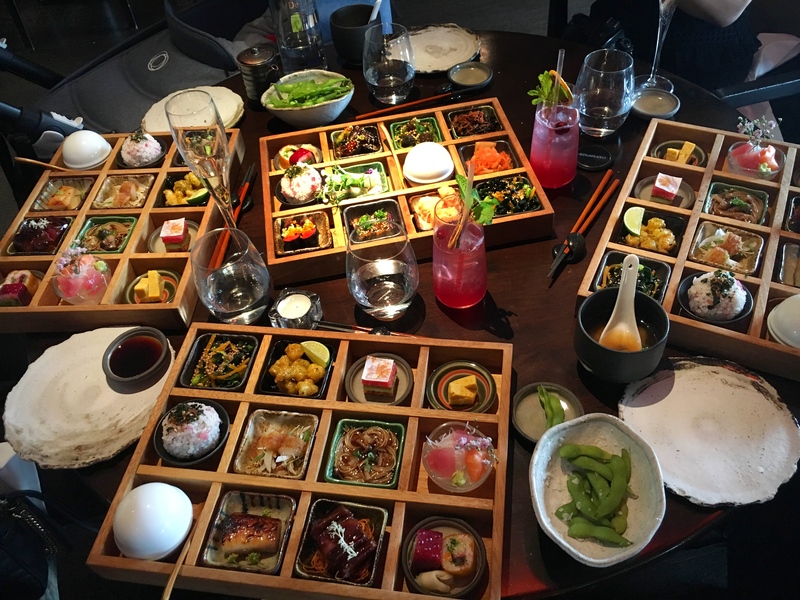 Go Zen is a traditional Japanese meal which includes a selection of seasonal dishes. Aqua Kyoto’s Go Zen bento boxes included 12 meat, fish or vegetable dishes while their Shojin Ryori vegan selection is something that Buddhist monks in Japan are traditionally known for. After the miso soup, which was very good, the Kyoto Go Zen bento boxes arrived and included wagyu beef, black cod, sushi and seasonal vegetables. To experience the vegan bento box, the four of us shared the Sohjin Go Zen. It’s difficult to say what I enjoyed the most because the whole meal was pure delight. Each dish was beautifully crafted and their flavours were both rich and satisfying. Dessert was also very special. We had ordered the Chokoraito Delisu and Foresuto Froa between us for a taste and I enjoyed the surprising bursts of flavours from each dish. 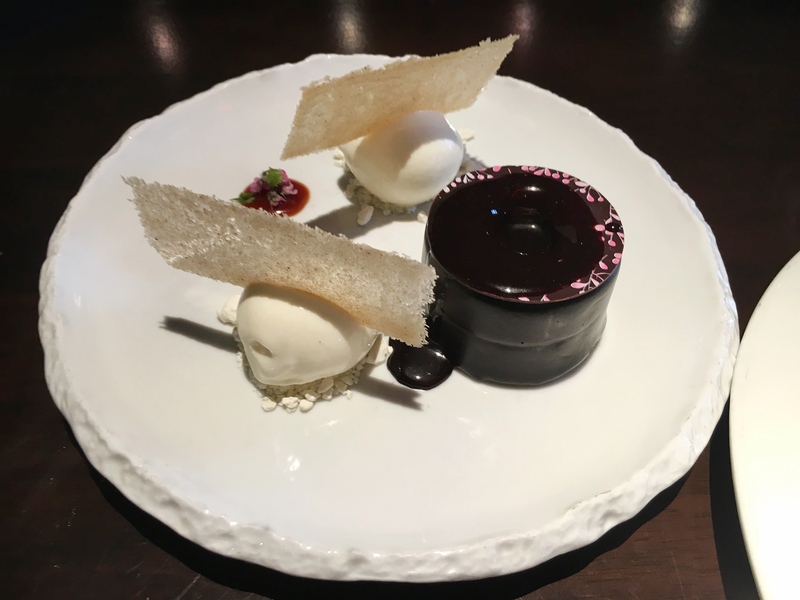 The Chokoraito Delisu involved smoked chocolate delice, sesame praline, kaki fruit, sorbet and ginger wafers while the Foresuto Froa was created from a ‘forest floor’ yuzu oba leaf cream, almond praline, chocolate and azuki bean paste with sour cherry sorbet. Japan is a country I hope to visit one day but for now I could happily eat Japanese food all day. And as for the wonderful ladies I dined with, I could catch up with them every day too. So if you’re looking for something new to try Aqua Kyoto’s beautiful Go Zen bento boxes are quite special. Such a lovely lunch – I can’t wait to get a few in the diary for 2018!